Have any studies concluded which other vitamins (if any) are needed to interact or act with Vitamin D to make it more effective? 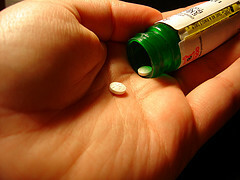 There is a diet supplement that was recently taken off the market supposedly called hydroxycut. It is a weight loss product that helps make you look lean. I took it for about 8 months, lost weight etc. Then I started having severe leg and back pain and muscles like concrete even though I was flexible. Now I found I have a vitamin D deficiency even though I take a lot of skim milk and am in the sun everyday and exercise everyday. I was also taking vytorin due to a sudden surge in cholesterol attributed to severe stress as a caregiver. What do you know about the connection. I am on long term coumadin therapy. I have prostate cancer with spread to bone. I am taking 6,000 IU of vitamin D daily. Will this have any adverse effect on INR? I'm sorry, but I don't answer drug interaction questions because there is always new information coming out. Every pharmacy has a constantly updating computer program about all of the newest information about drug interactions. You can call ANY pharmacy, the number is likely to be on your bottle of coumadin, and they will be happy to answer that question for you. Glad that you are taking vitamin d. Did you have a Vitamin D Level drawn? If not, you should get one done because 6000 IU's per day may not be enough if you are very deficient. what is the connection or interaction between BP meds and D3 taken in liquid from. I was diagnosed at 14. very low. I live in Seattle. I am vegan. I am taking Benicar and an antidepressant. I was given D2 as a supplement but do not want to take it. I simply want to know what is the best amount for me to take of the D3 liquid daily and if there is a high interaction between the other two pills and the liquid Vitamin D3. thank you so much. your articles are incredibly informative and necessary. I take calcium(1000 mg). Glucosamine/Chondroitin (1500 mg). 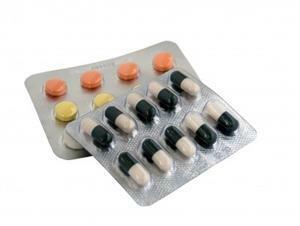 A general multi-vitamin pill and also a Vitamin D3 1000 iu every day. I am also a Coeliac Note: Coeliac Disease or Celiac Disease is the inability to digest wheat gluten causing serious problems. See my page on Gluten Sensitivity for more information which was not diagnosed until I was 46 years old and has led to a low bone density. I was offered and refused Fosamax. I do quite a lot of walking/gardening and I am not overweight (60kg). Should I - or is it safe to - mix these products? Are there any drug interactions between Vitamin D, Synthroid, diabetes medication and high blood pressure medication? My gyn just put me on 40,000 mg of vitamin D for 9 weeks and I'm concerned about interactions with all the other medication that I'm on. I am currently taking Coumadin due to a Factor V Leiden (genetic mutation condition). Lab results disclosed that I have a Vitamin D3 deficiency. My question: Can Vitamin D3 be taken with Coumadin? What effects does Vitamin D3 have on INR/Prothrombin levels? 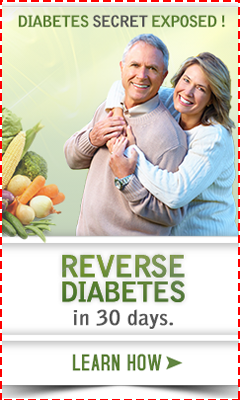 Can vitamin D3 400 IU betaken daily with 10 mg norvasc (safely) I am 75 years old and take no other medications. I am a healthy 55 year old male that does not smoke, drink, and exercise regularly. However, I have been on an anti seizure medication (phenytoin) for many years. I found an article regarding long term phenytoin usage and the link to low bone mass density (BMD). The article explained that vitamin D2 was necessary rather than D3 for increasing the low BMD. I also found another study that concluded that d3 was successful at increasing BMD among those on long term anti-seizure medication.. Regarding the relationship between d2 and d3 I came across a couple of studies suggesting an inverse relationship with d2 and d3 when increasing one or the other. I began taking 4000 IU of D2 every day for 6 months. My d2 increased from 5 to 11. However, my d3 dropped from 23 to 18. My parathyroid dropped from 65 to 60 an my serum calcium levels before and after have remained in the center. From the results I do not feel that the d2 is effective at increasing my overall health and also remain uncertain about the ability to increase BMD from d2. I am leaning towards d3 therapy from here after. However, I would appreciate any thoughts you may have. Do Blood Thinners affect Vitamin D Levels? I was 24 when I had a stroke for no obvious reason. I was on blood thinners for 20 years and it's been 8 years since I've taken any. I recently found out that I have a severe vitamin D deficiency and some related symptoms. Does coumadin affect the production of vitamin D, or could it have affected it? Hello, and thank you for the opportunity to ask a question concerning Vitamin D.
It is on behalf of my sweet wife that I inquire. She is 60 years of age. Fairly over-weight. Works nights, rarely getting any sun exposure. She has a heart valve issue from a childhood illness. High blood pressure is something she must deal with. "Amlodipine" (a calcium channel blocker) is one of the prescription drugs she takes. 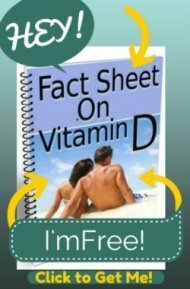 A little over a year ago I became aware of the importance of Vitamin D, and have done quite a bit of research concerning it on the internet. This past winter I myself was taking 5000 IU/d of the oil based variety. (I work outside so I don't take it often in the summer). I have switched to the lanolin based version since I developed... gassiness and diarrhea, I assume from so much oil. I try to get my wife to take Vitamin D. She developed diarrhea so bad she refused to take it anymore. Also, I fear that I might be doing her harm, if the medications she is on are contraindicated... ? I would greatly appreciate any advice in this regard, as I am sorely concerned about my wife's health. I feel that, since she gets zero sunlight she needs a D supplement. (I've switched her to a D supplement touted to containing various elements to maximize absorption, etc). I have been diagnosed with advanced osteoporosis as well as having a deficiency of calcium and vitamin D.
I was put on Nexium for one month before taking Fosamax 70 mg weekly, but started taking 50,000 ui of Vitamin D immediately. I need to know if taking all of this is damaging my kidneys. I am in pain, skin is scaling, and dehydrated. I know this is side effects, but are they dangerous? Vitamin D with what Magnesium dosage and effect on antidepressants? I was told a few months ago that I had a vit d defficiency (20). I started taking nearly 5000 ius last week. I have ocd and get very anxious easily. I'm also on Sertraline which I take at night. I understand from your pages, that vit d can make you feel anxious, achy, etc (all of which I've been experiencing). Does it effect the sertraline? I'm not happy taking anti depressants but feel I must for the moment. Also, I take 450 mg of Magnesium at night but take vit d after lunch. Should I combine them and take 450 mg with the 5000 iu of vit d? And even take 450 mg magnesium again at night, so double the dosage? I'd be very grateful for your reply. Many thanks, Rachel.